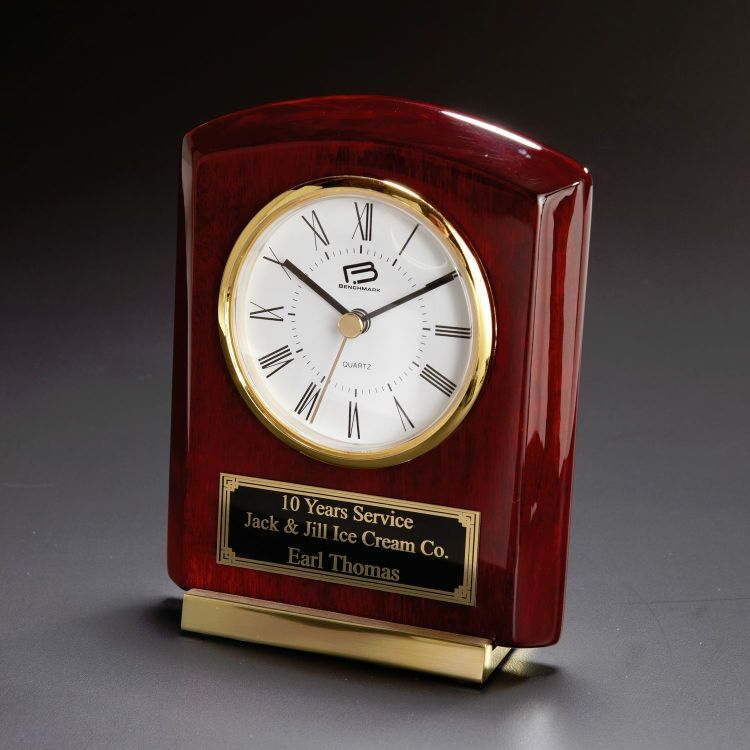 Highly polished rosewood is combined with brass accents to create an exquisite timepiece. 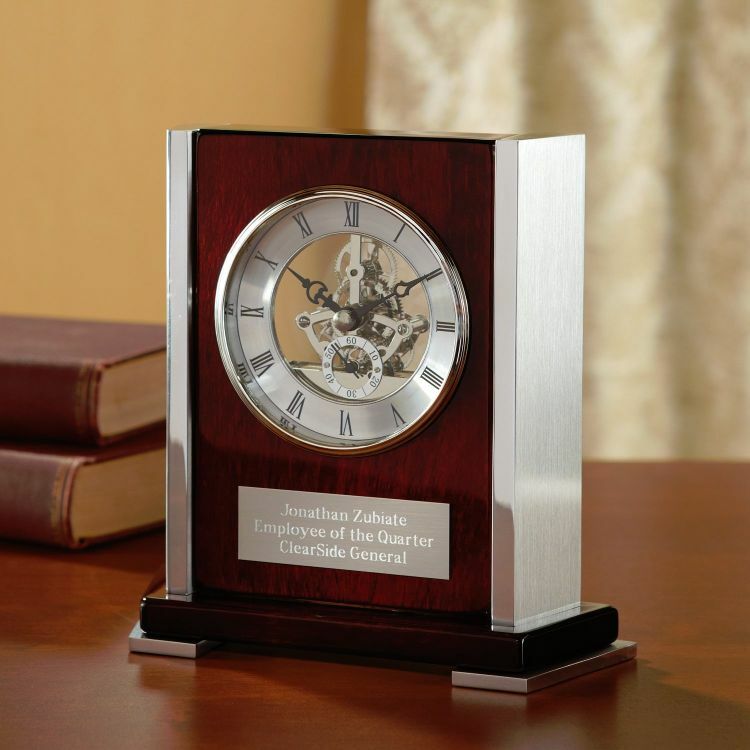 Deluxe quartz movement and a great price are included! 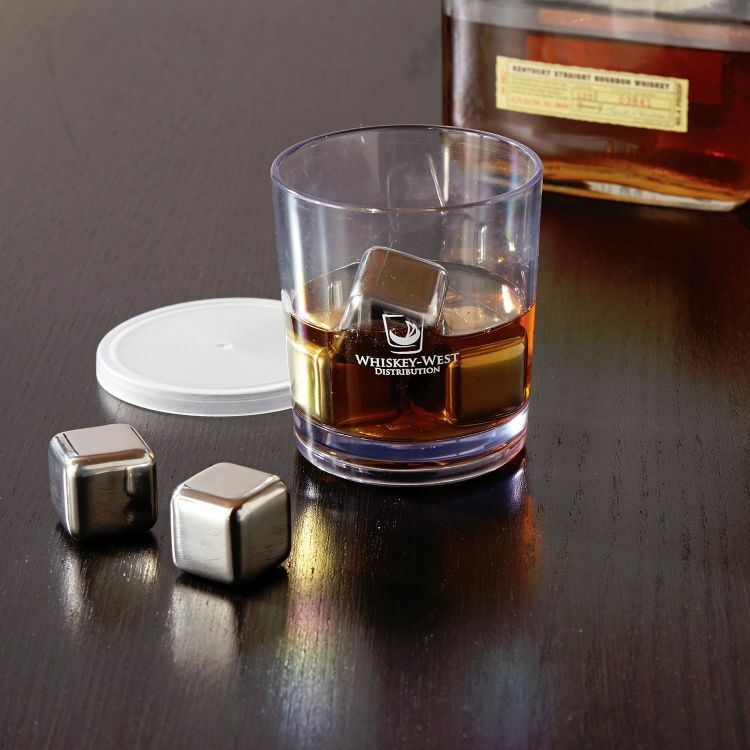 Keep all of the original flavor of your favorite drink with these stainless steel ice cubes. 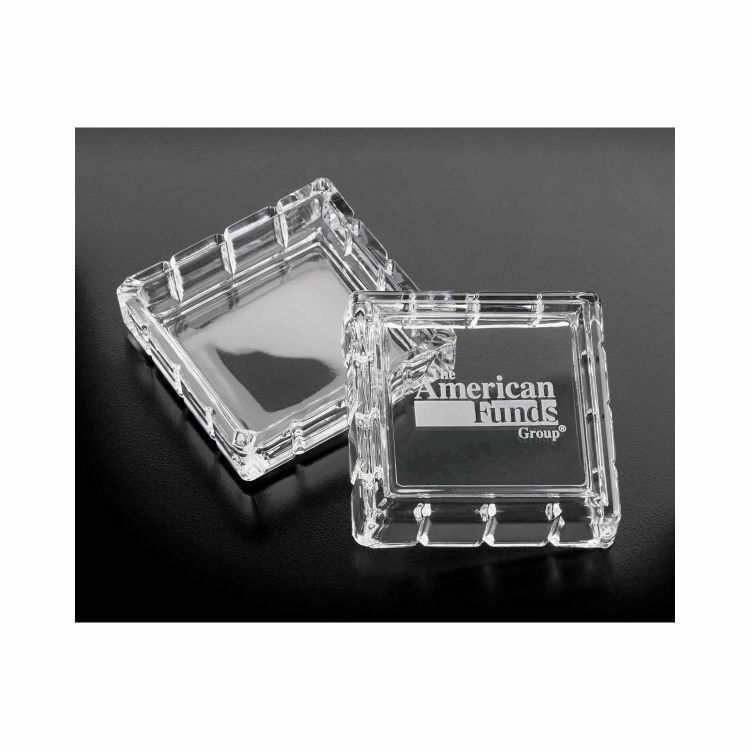 These 6 cubes come in a plastic cup that can be used for drinking or storage. 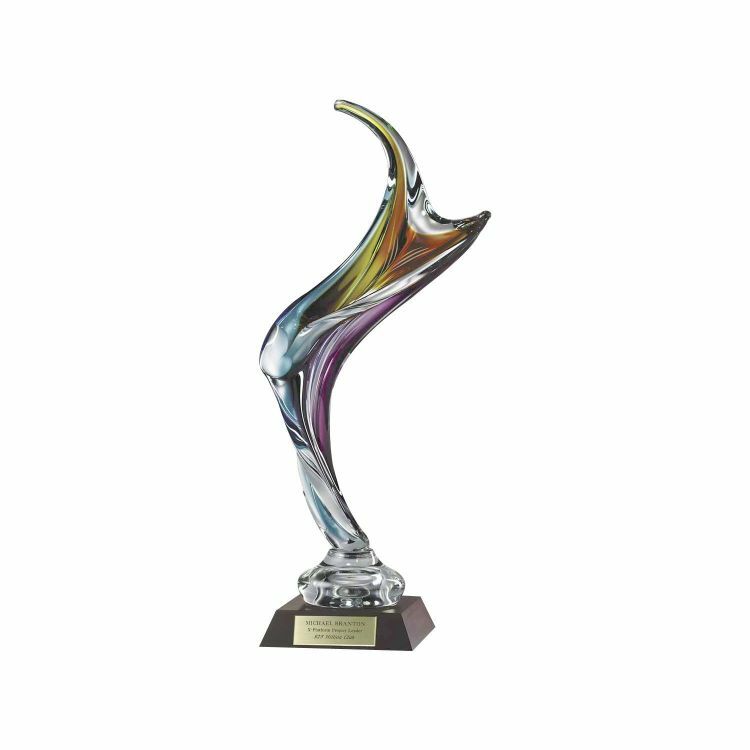 Featuring a rainbow-esque swirl down the middle of this large egg, this award is larger than the average egg and will adorn any setting famously. 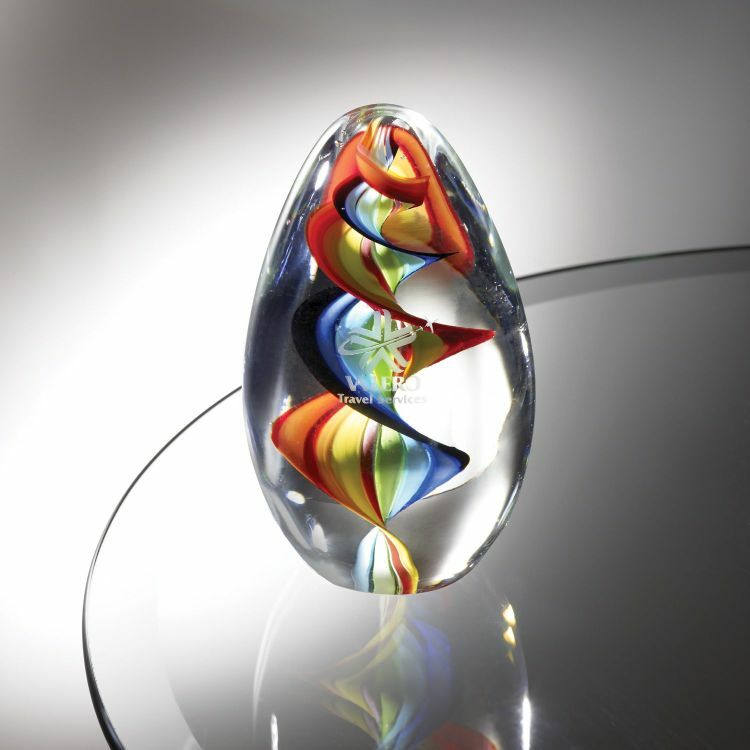 These art glass awards showcase beautiful blues between rings of glass. 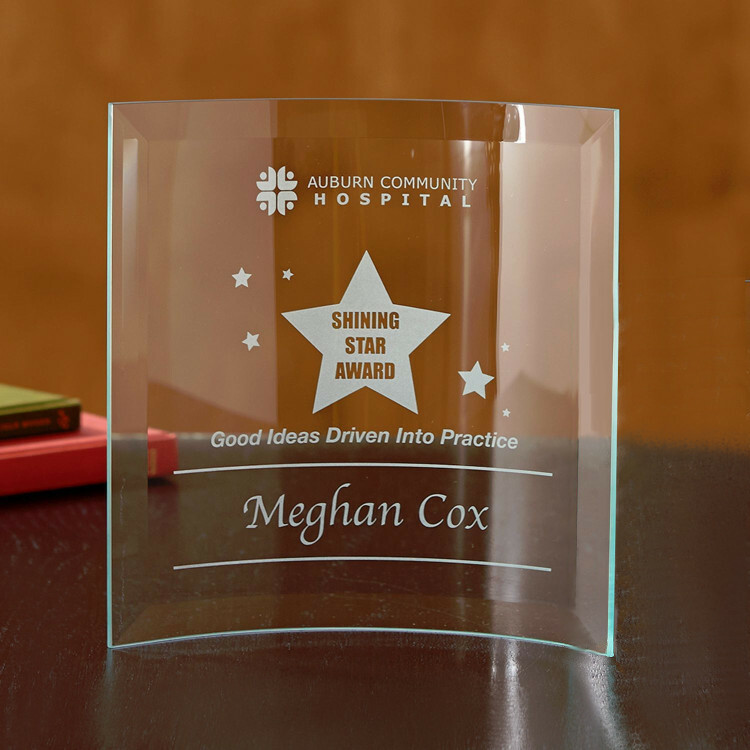 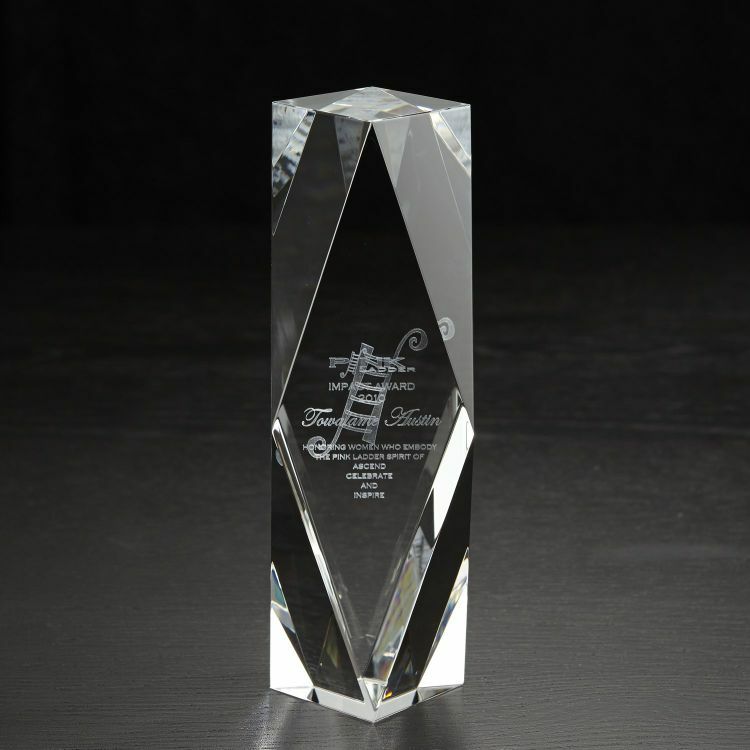 The black glass base creates a dramatic stage for this award. 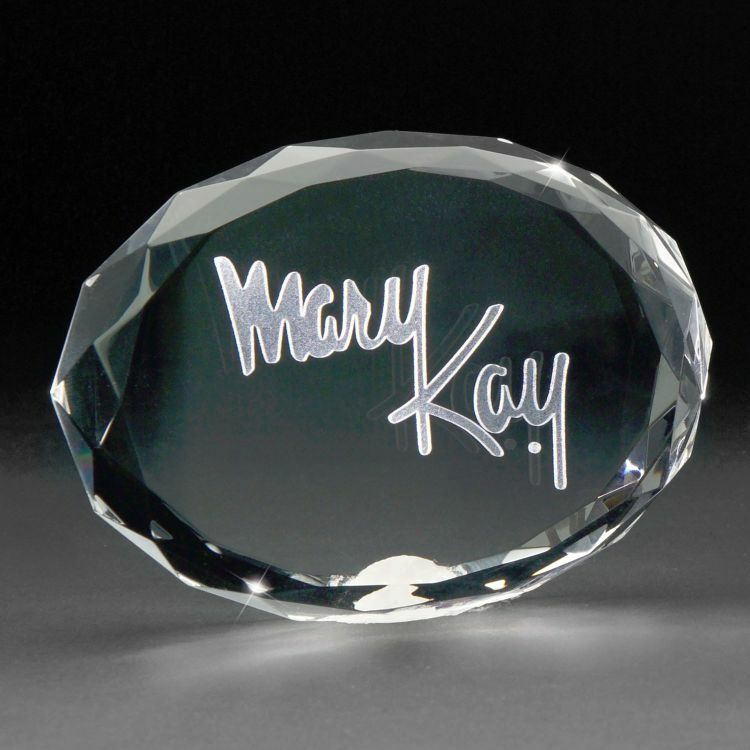 Individually designed and hand formed, the unique quality of this piece will be admired for years to come. 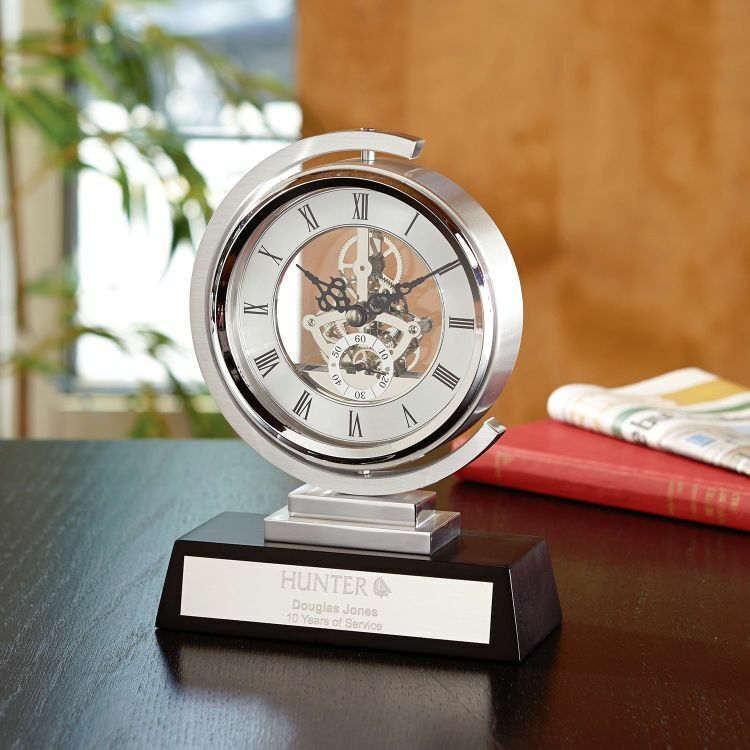 The matte black wooden base is a perfect complement to the brushed silver and chrome combination in this elegant skeleton clock. 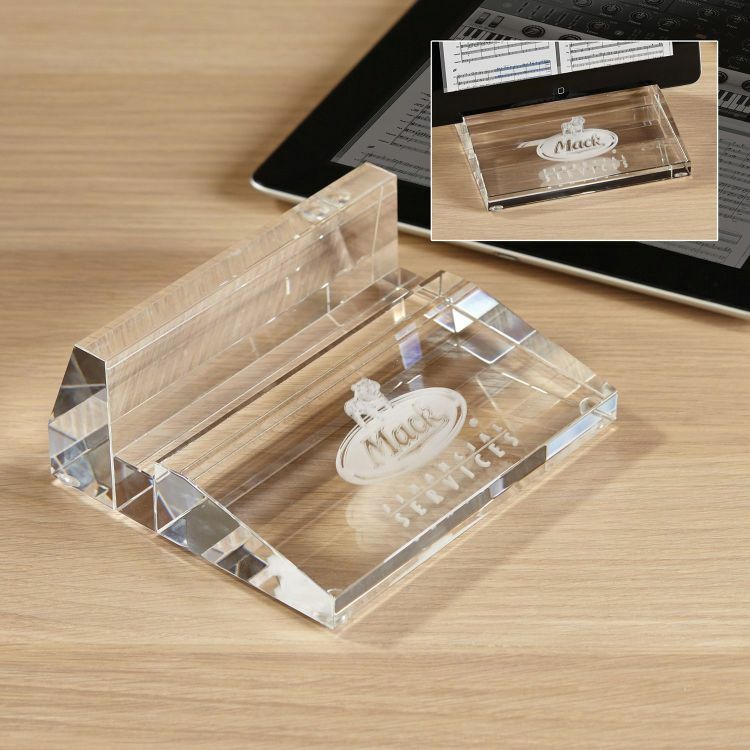 Let your tablet stand with class in this optically perfect crystal stand with 3D subsurface laser decoration. 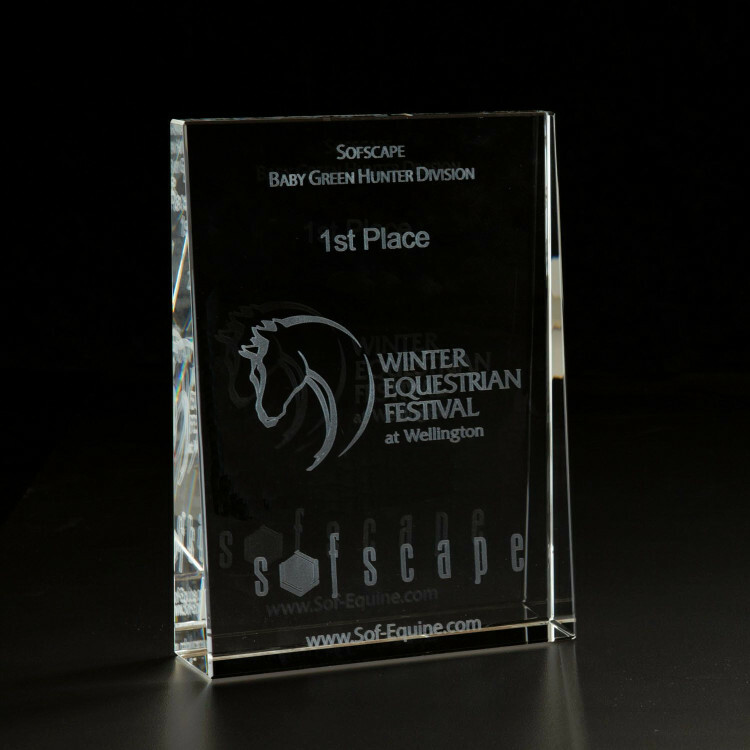 Square Optically Perfect box with scored sides. 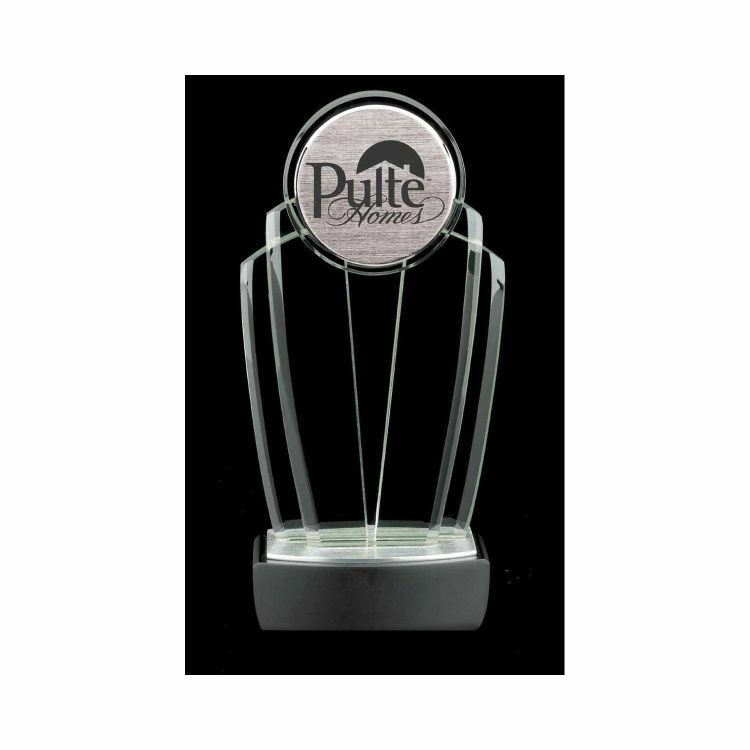 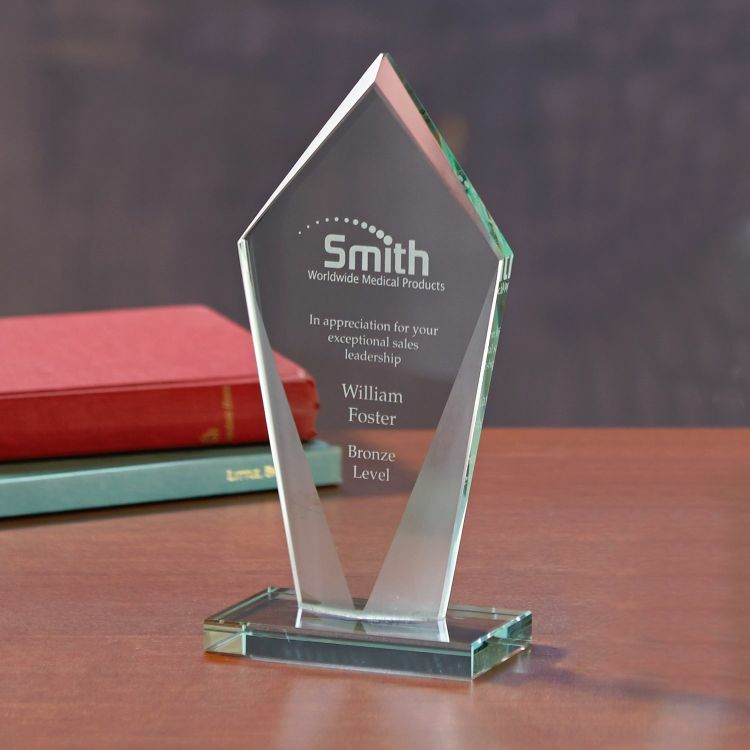 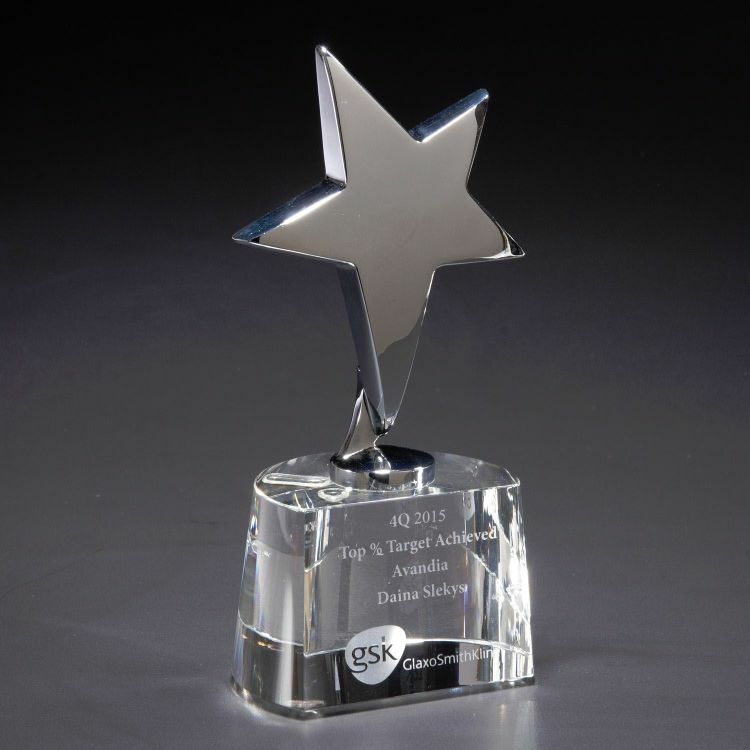 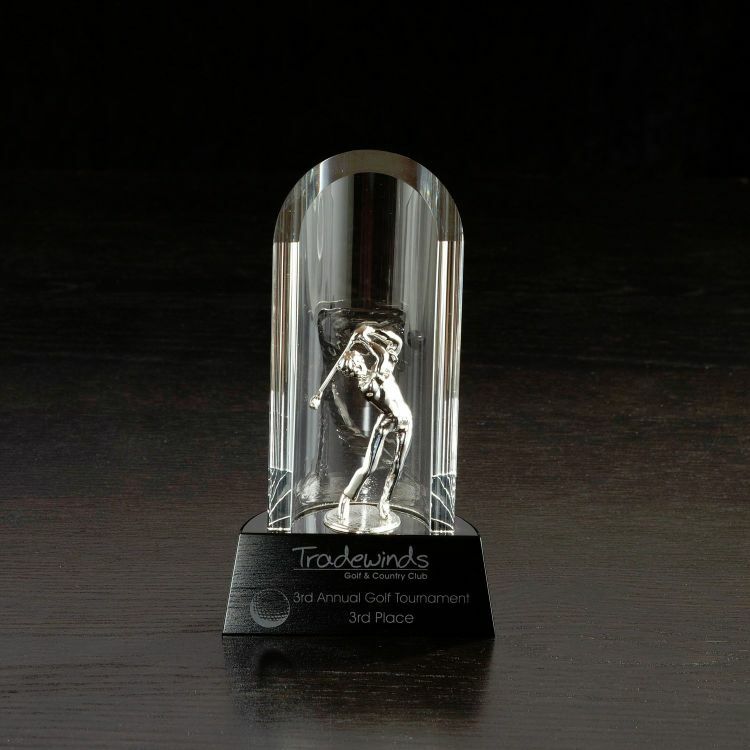 Set within a brushed aluminum base, this dual-colored award will command attention in every setting. 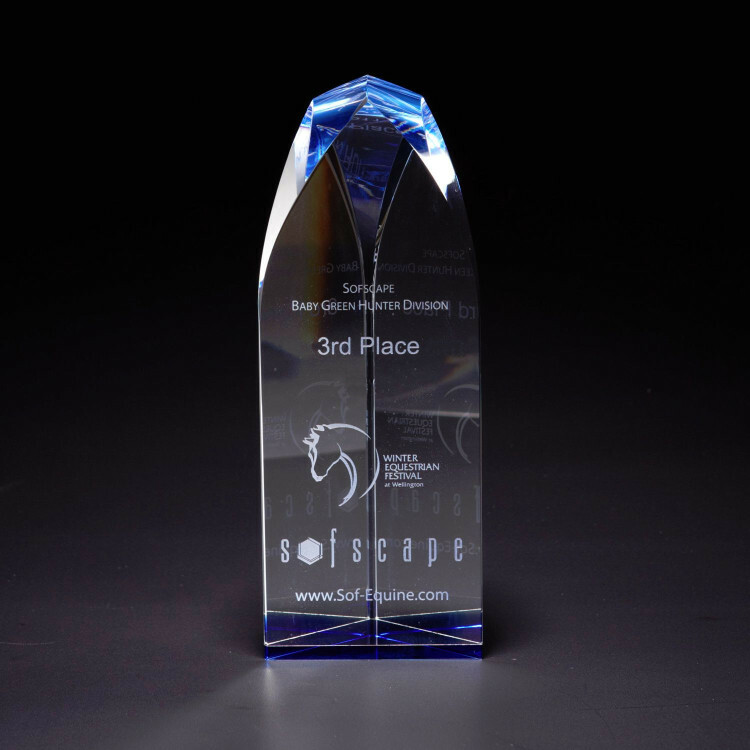 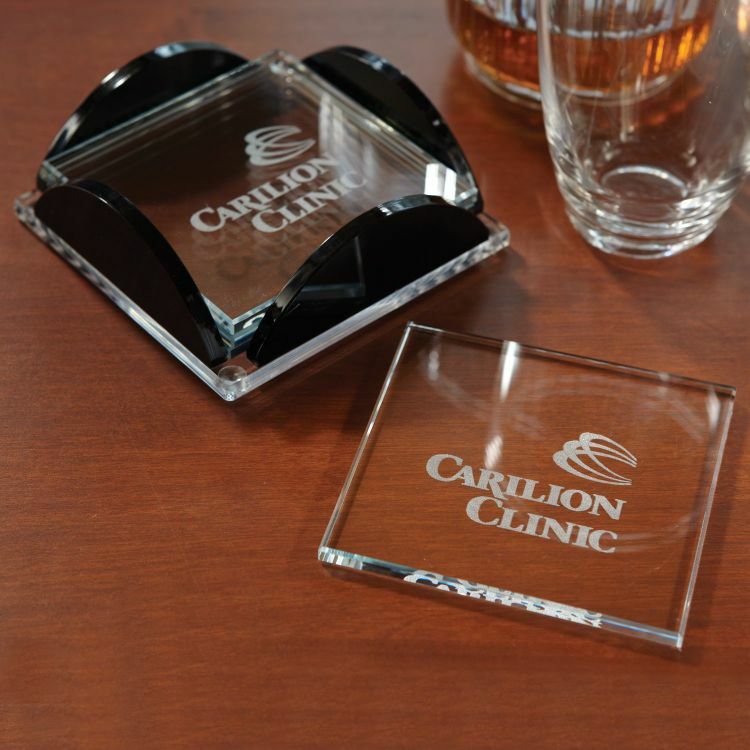 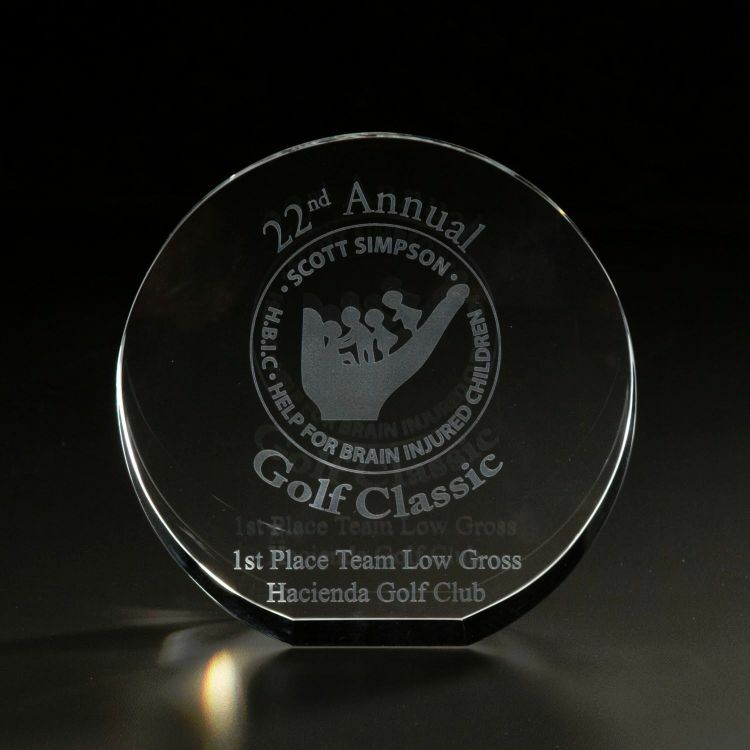 Presented on a matte black wood base, this Jade Glass creation features a brushed silver disc to showcase your logo. 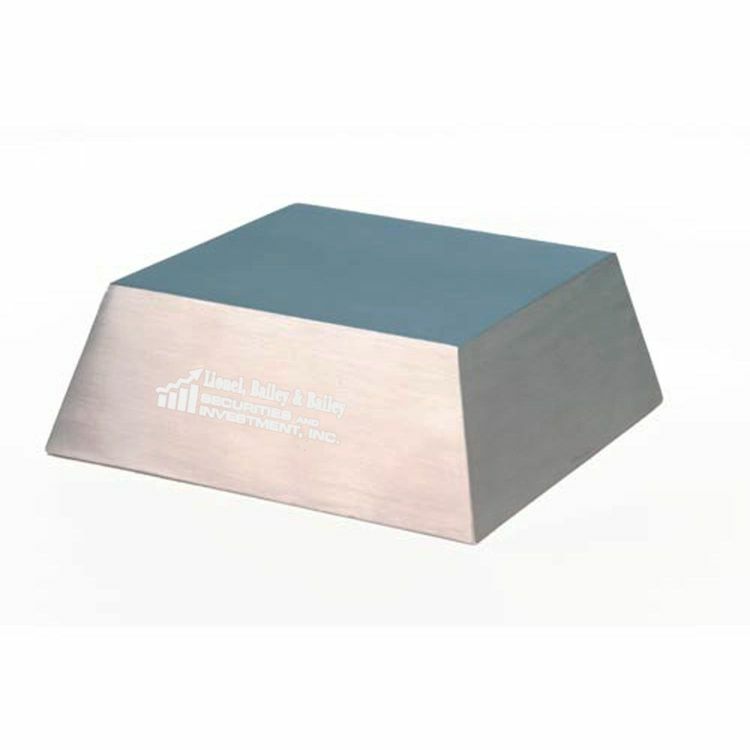 Base is not imprintable. 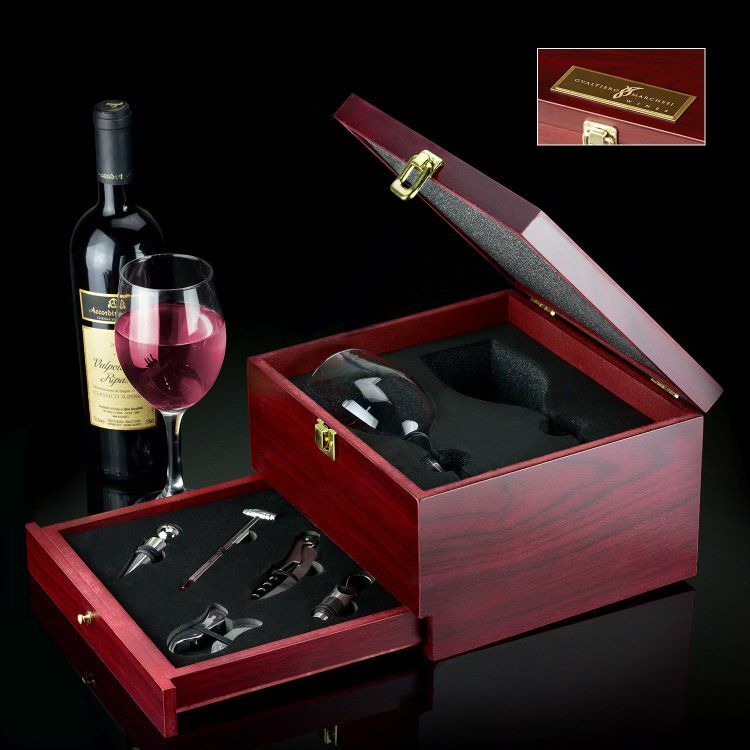 This comprehensive MDF with rosewood finish box wine set comes with two wine glasses nestled in die cut foam. 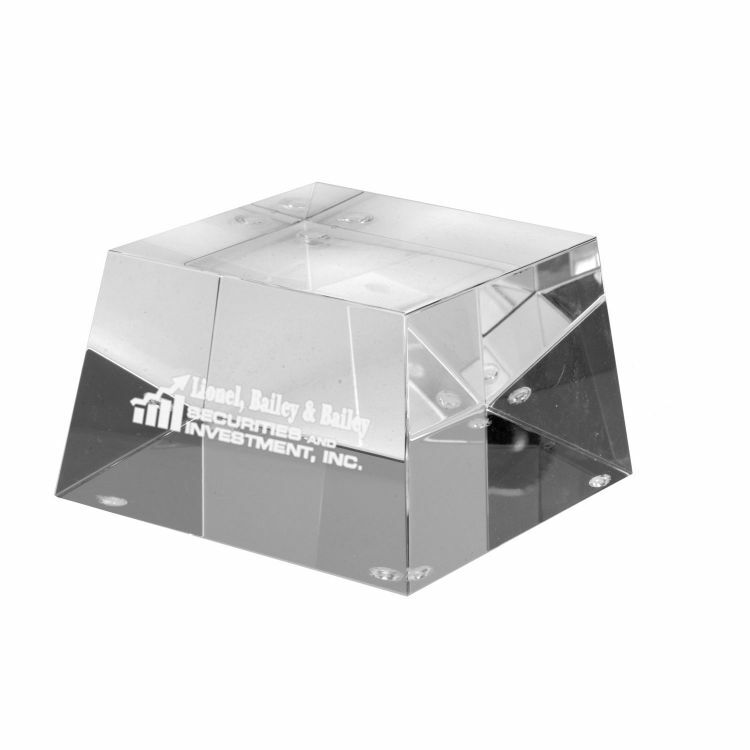 A tool drawer houses a fold out knife, silver plastic foil cutter, decanting pourer, corkscrew, and stopper. 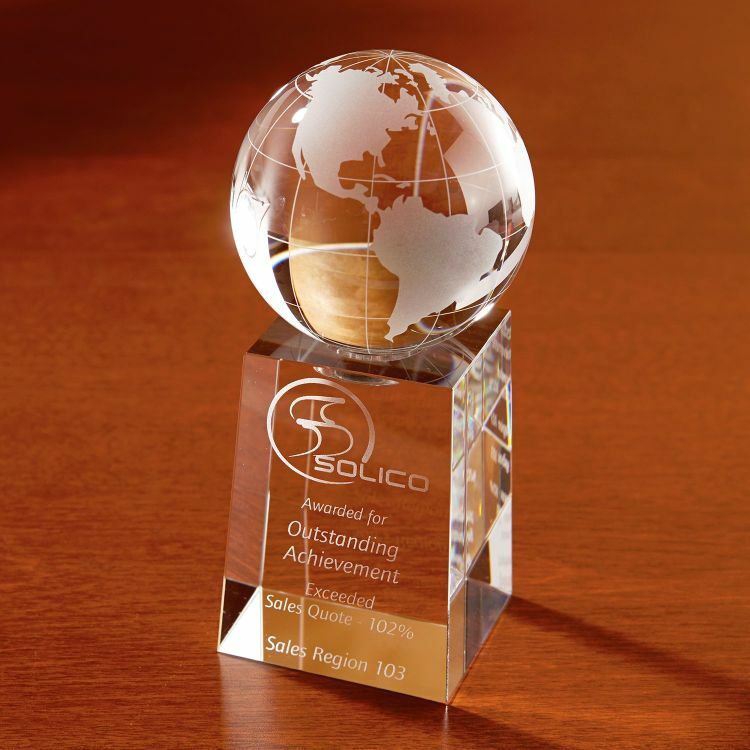 This Optically Perfect Crystal globe rewards your international sales team or anyone with far reaching ideas. 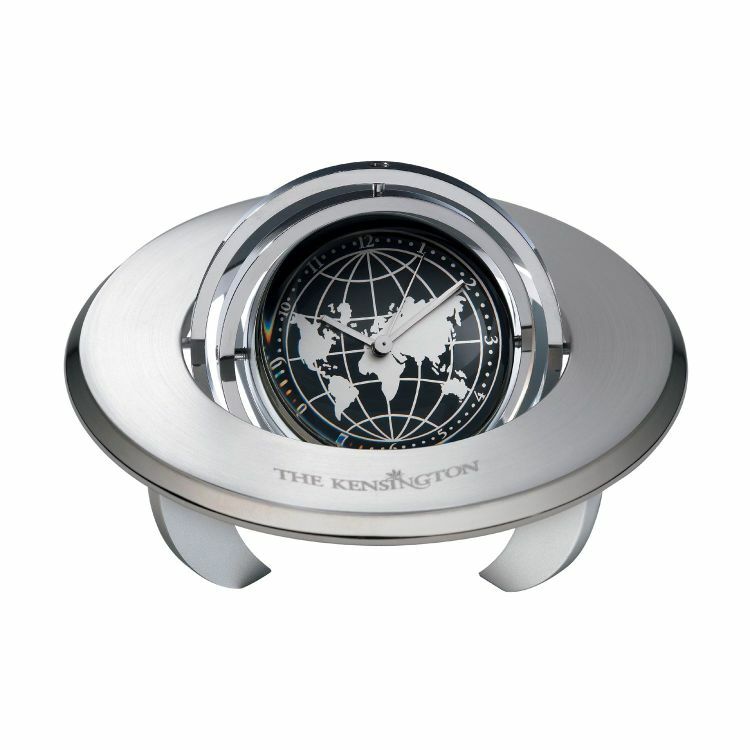 Set atop a crystal base, this globe rotates with the touch of your finger. 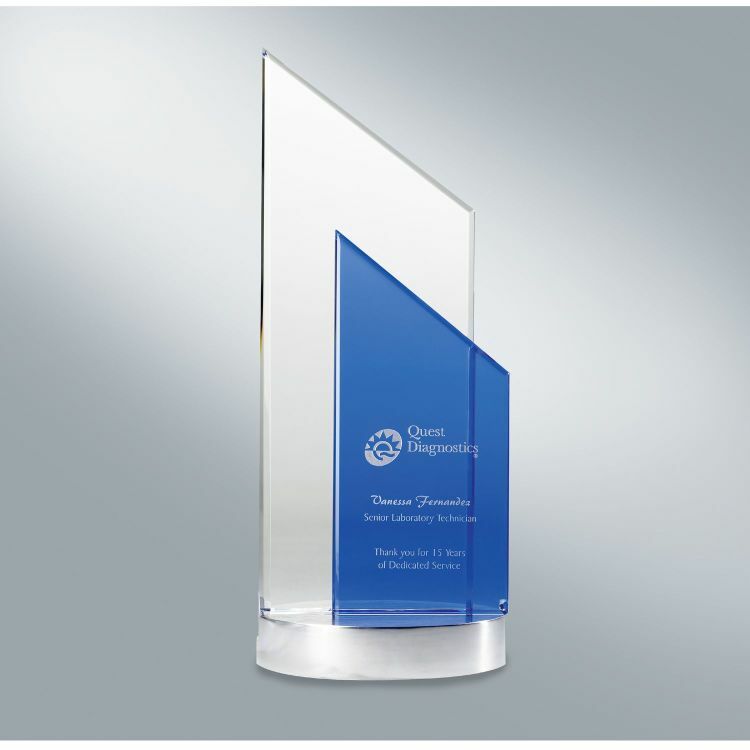 A Benchmark in design! 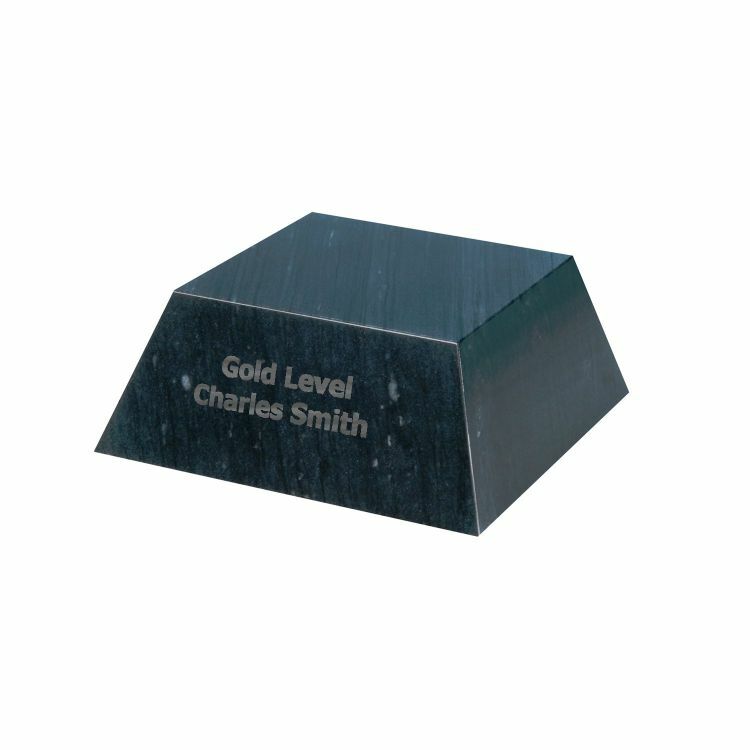 This Planetarium conveys a rock solid design coupled with a high tech style. 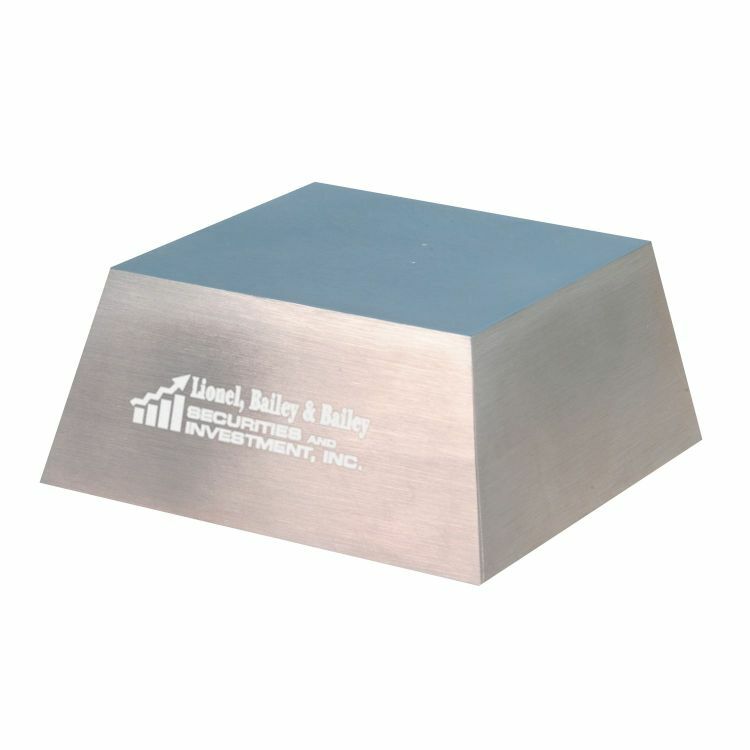 Frame holds 1 7/8 diameter photo or message. 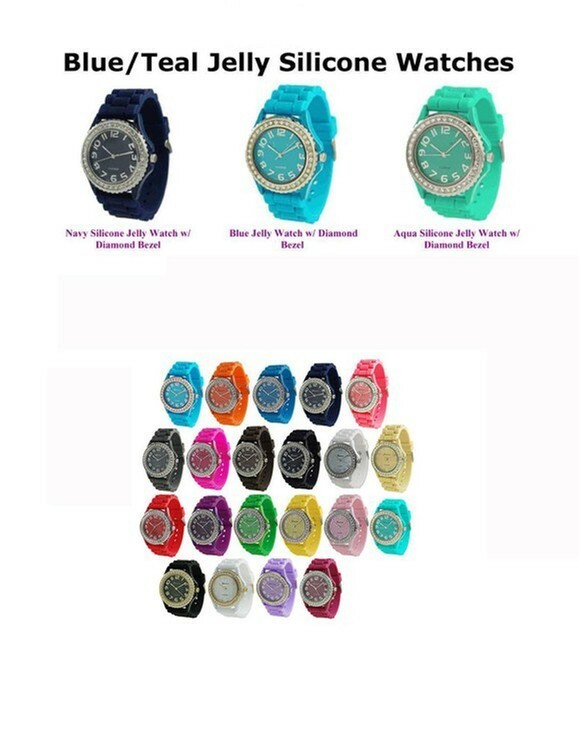 This medium size item is also available in a large size on item 8136.